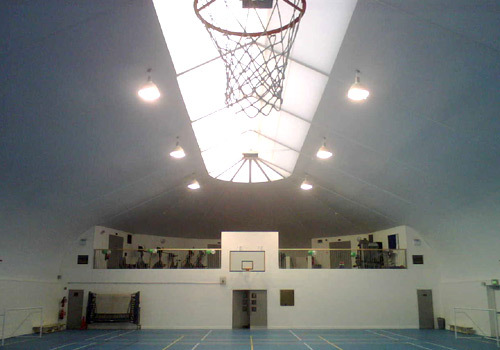 A 650 pupil girls school, St Dominic's Secondary School is one of the pre-eminent girls schools in Dublin. 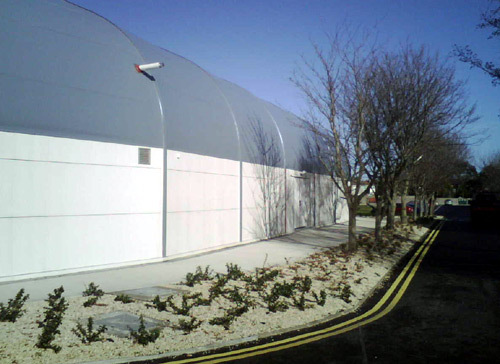 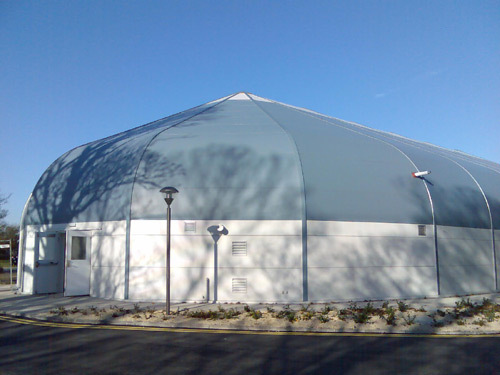 This 21.3m x 44.2m fully insulated building has a conventional construction internal fitout including changing rooms, toilets, showers, teacher's office, storage areas and a mezzanine level for fitness equipment. 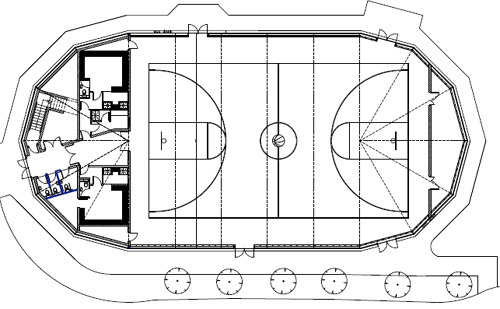 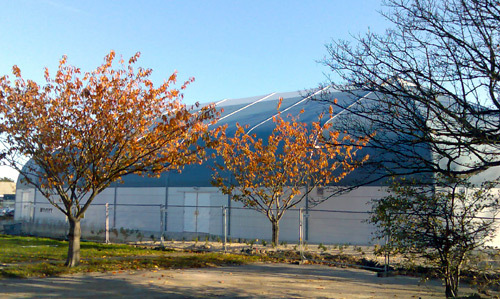 The sportshall accommodates a fully sized basketball court suitable for national standard competition, as well as two mini-basketball courts running across the building. 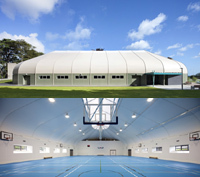 The hall is also lined for badminton, volleyball and indoor soccer, allowing several activities to take place at the one time. 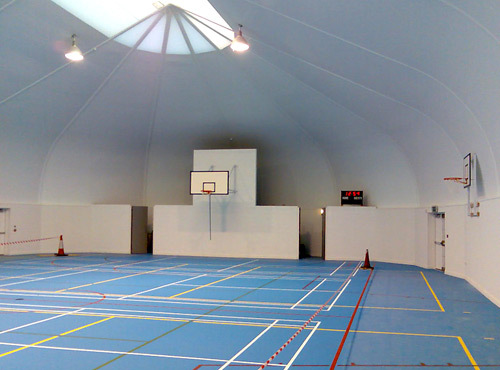 This multi-functional hall will be used for sports, exams, drama and assembly, and is an integral part of the schools everyday activities.